FAST CHARGE MODE. 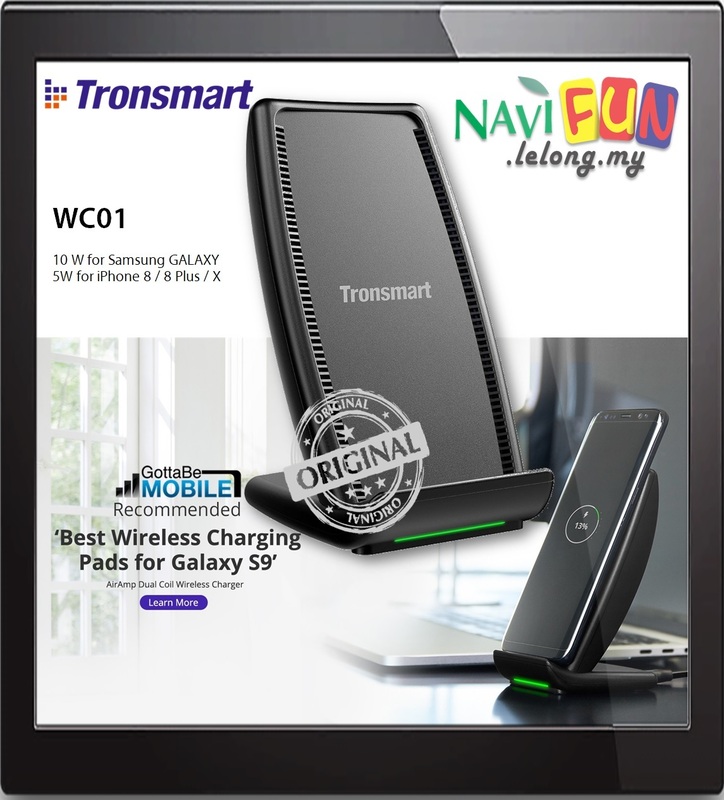 Up to 10W wireless fast charging to Samsung Galaxy S7, S7 Edge, S8, S8 Plus, Note 8. STANDARD CHARGE MODE. Compatible with Qi wireless charging technology: Supports a wide-range of smartphones like latest iPhone X, iPhone 8 and iPhone 8 Plus and most Qi-enabled devices. 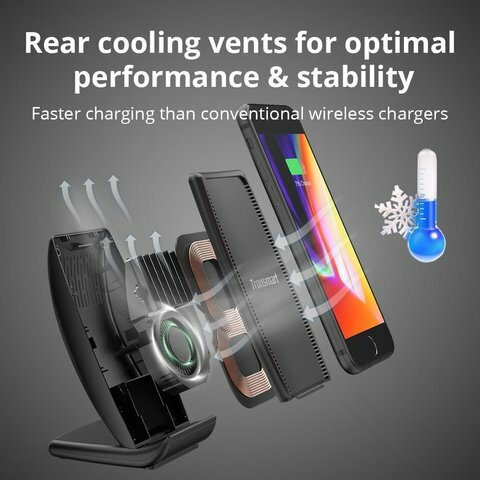 BUILT-IN COOLING FAN. Tronsmart wireless charger stand with fan helps dropping the temperature (15℃/27℉ lower than wireless charger without fan) of qi wireless charger and your phone during charging, thus increasing the charging speed (1.6 times faster than standard wireless charger) and protecting your devices simultaneously. MULTI-PROTECTION ENSURES CHARGING SAFETY. 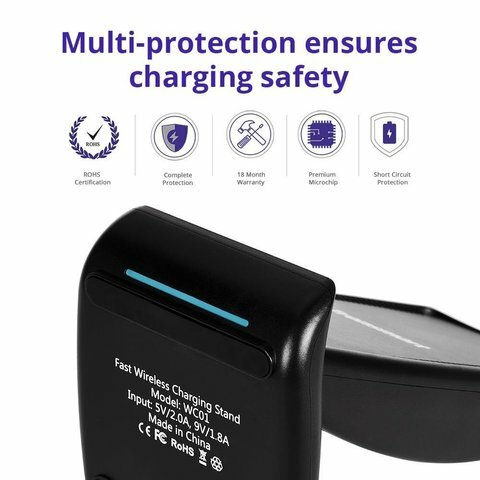 Over-charging protection, over-voltage protection, over-current protection, short-circuit protection. 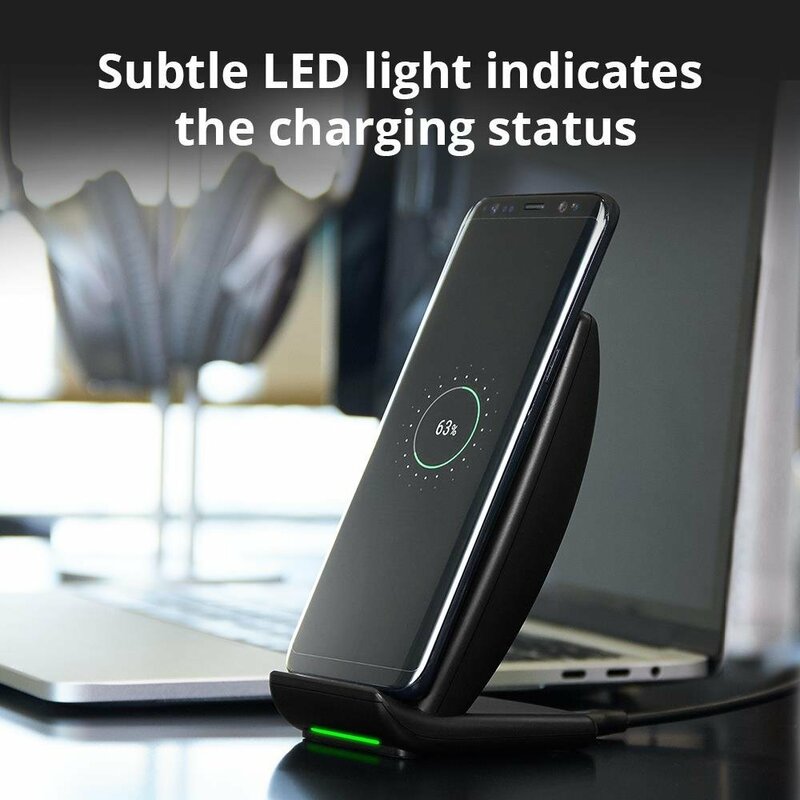 SUBTLE LED LIGHT INDICATES THE CHARGING STATUS. 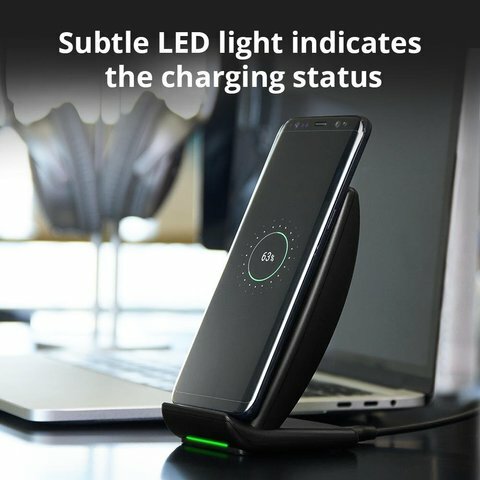 It will turn into blue for 2 seconds when it connects to power, and will turn into green and stays when it starts charging phone. 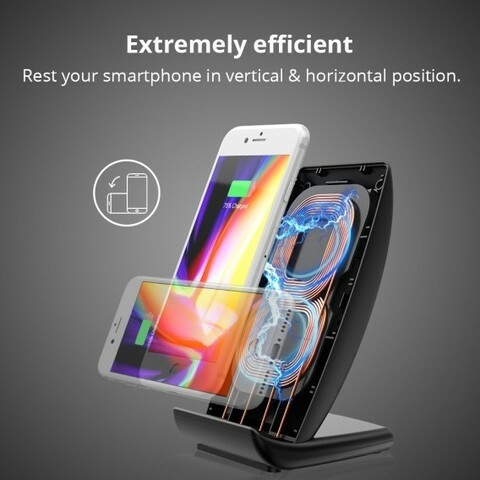 Supports a wide-range of smartphones. Up to 10W wireless fast charging to Samsung Galaxy S7, S7 Edge, S8, S8 Plus, Note 8. 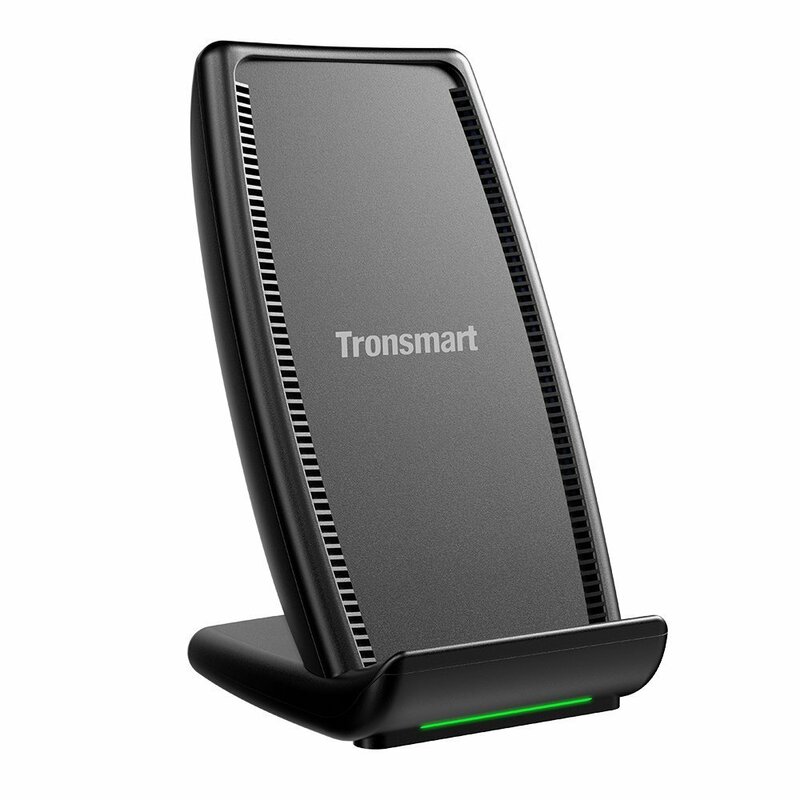 Solid built with premium materials. 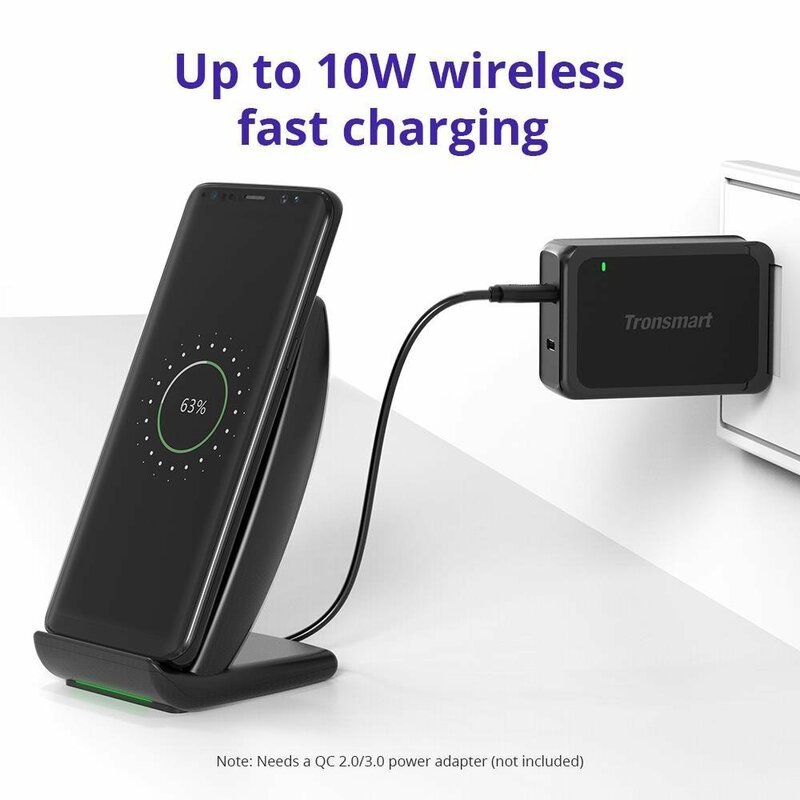 Faster charging than conventional wireless chargers. 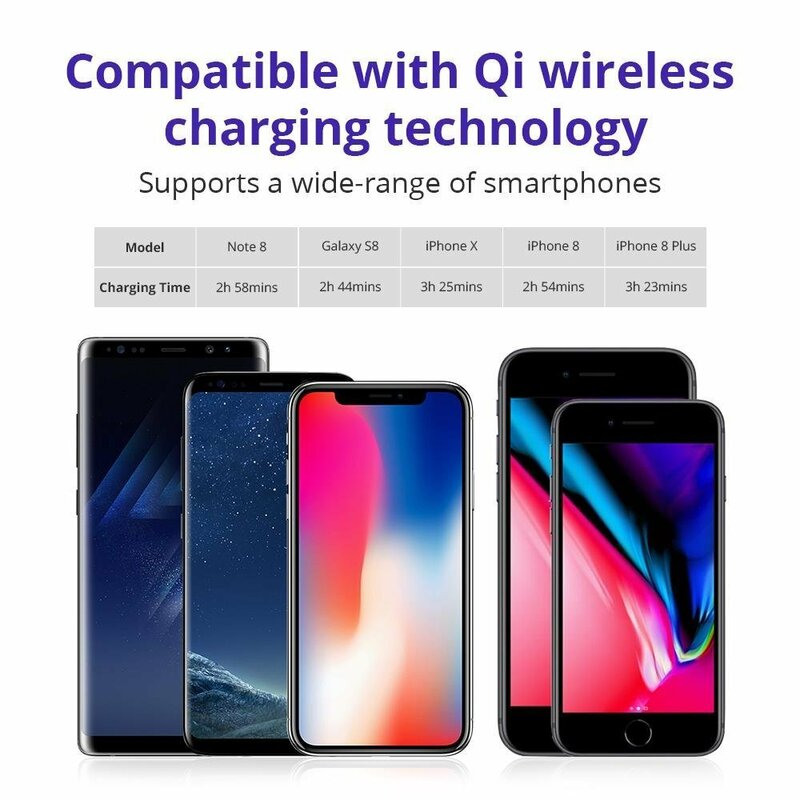 Over-charging protection, over-voltage protection, over-current protection, short-circuit protection. 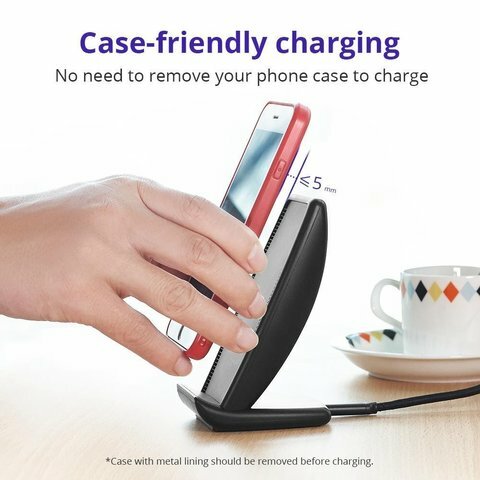 Subtle LED light indicates the charging status.Case-friendly charging, no need to remove your phone case to charge. Note: Need a QC 2.0/3.0 power adapter(not included). Case with metal lining should be removed before charging.